WILLIAMSBURG, Brooklyn -- A Brooklyn restaurant is taking the gold standard to a new level. The restaurant, Manila Social Club, located in Williamsburg is selling a $100 donut. It is flavored with champagne, filled with Ube (a purple yam) and mousse. The confection is then topped off with 24-karat gold flecks. 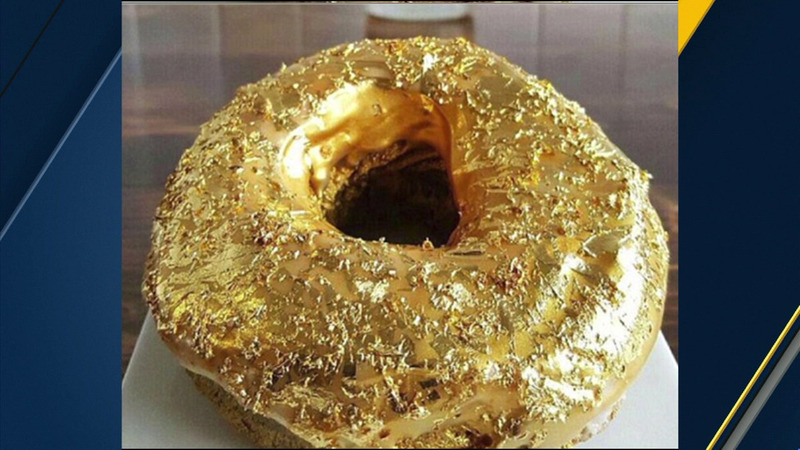 It's named the "Golden Cristal Ube Donut." It was originally created as a limited-edition special, but it became so popular the owner of the shop decided to make it a permanent menu item.